Award-winning recording artists Al Petteway, Amy White, and Robin Bullock lead the annual holiday concert A Swannanoa Solstice, Sunday, December 18 at 2:00 p.m. and 7:00 p.m. at Diana Wortham Theatre in downtown Asheville. In this annual winter holiday celebration, now in its 14th year, world-renowned musicians Petteway, White, and Bullock, Grammy Award winner David Holt, and other special guests share holiday songs old and new, religious and secular, joyful and poignant, in an intimate winter concert. 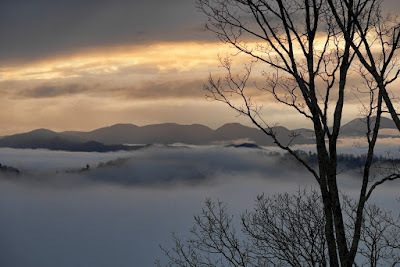 Presented in partnership with The Swannanoa Gathering at Warren Wilson College, A Swannanoa Solstice again offers two performances in order to meet audience demand for this popular winter gathering and concert. The audience is invited to bring family and friends, share a cup of wassail and cookies, enjoy live music in the lobby, and join in the warm merrymaking and quiet contemplation of this Asheville favorite. 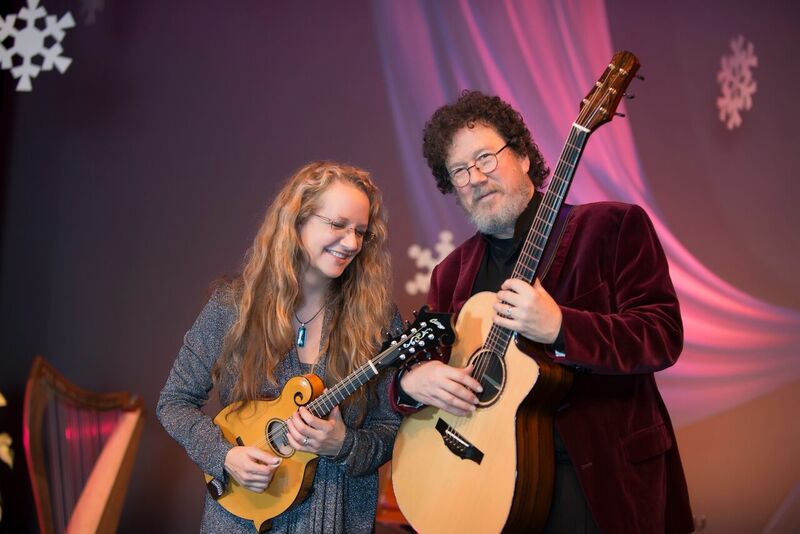 Grammy winner Al Petteway and his wife and musical partner Amy White perform an exciting blend of original, traditional, contemporary Celtic- and Appalachian-influenced music. 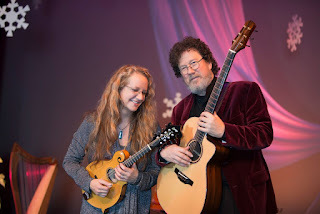 Their repertoire offers extensive instrumental work featuring acoustic guitars, mandolins, Celtic harp, piano, and world percussion as well as a fine touch of vocals. They have been Artists in Residence at Warren Wilson College and The Kennedy Center Millennium Stage. Their award-winning signature sound is heard often on public radio programs and has been used in the soundtracks for a number of Ken Burns’ films, most notably the Emmy-winning PBS documentary, The National Parks-America’s Best Idea. While living in the Washington, D.C. area, Al & Amy won a grand total of 50 Wammies from the Washington Area Music Association in the Folk, Celtic and New Age categories. They received a coveted Indie Award for their CD Gratitude (2001) and Al won a Grammy for his solo fingerstyle guitar rendition of Henry Mancini’s The Thornbirds Theme featured on the pop instrumental compilation, Pink Guitar (2004). The readers of Acoustic Guitar magazine voted him one of the top fifty guitarists of all time. Al is the coordinator of Guitar Week for the world famous Swannanoa Gathering at Warren Wilson College, and was given the “Master Music Maker” award for his contributions to the program in 2013. Amy’s 2012 release, Home Sweet Home, was in the top ten on the national folk/roots charts and held the number one spot in North Carolina for more than a month in 2012. Al’s 2014 release, Mountain Guitar, features solo acoustic guitar and paints a musical portrait of the southern Appalachian Mountains. Al and Amy are both stock photographers with National Geographic Creative, and their photographs are represented in The National Geographic Society’s Image Collection, where Al worked as an image editor for 18 years. These photos are translated onstage during A Swannanoa Solstice in photographic backdrops of the Southern Appalachians in winter repose. Al and Amy make their home on top of the Elk Mountains range in nearby Weaverville, NC. Hailed as a "Celtic guitar god" by the Baltimore City Paper, guitarist/mandolinist/citternist Robin Bullock is a winner of Editor's Pick and Player's Choice Awards from Acoustic Guitar magazine, the Association for Independent Music's prestigious INDIE Award (with the world-folk trio Helicon), multiple Washington Area Music Association WAMMIE Awards, a Governor's Award from the Maryland State Arts Council, and a bronze medal at the National Mandolin Championship in Winfield, Kansas. His twelve solo and collaborative recordings include two holiday CDs, A Guitar for Christmas and Christmas Eve is Here, and Majesty and Magic: Music of Bach, Dowland and Carolan for Solo Guitar. His most recent release, Alone and Together, is a collaborative effort with fingerstyle guitarist, Steve Baughman. Robin also tours internationally as sideman with Grammy-winning folk legend Tom Paxton, including Tom's "Together at Last" tours with Janis Ian. A native of Washington, D.C. and a longtime resident of France, Robin now makes his home in Black Mountain, NC. A Swannanoa Solstice is presented annually in partnership with The Swannanoa Gathering at Warren Wilson College, and is made possible by Performance Sponsors Anna & Dan Garrett and Bill & Marilyn Hubbard; and by Mainstage Special Attractions Series Sponsors Henry LaBrun, PBI Commercial Interiors, and Ward and Smith, P.A. ; with additional support from Media Sponsors WCQS 88.1 FM, WNCW 88.7 FM, and WNC magazine. The entrance for the Diana Wortham Theatre is marked by the location of the theatre’s marquee between 12 and 14 Biltmore Avenue. Patrons enter the theatre through the breezeway between Marble Slab Creamery and White Duck Taco, and into a large interior courtyard with multiple glass doors to the theatre’s main lobby and box office. The intimate theatre seats just over 500 and boasts exceptional acoustics and sightlines, making it the premier performance space in Western North Carolina. The Mainstage Series is supported by a grant from the North Carolina Arts Council, a state agency. 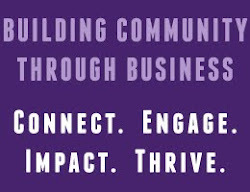 The Mainstage Series 2016/2017 Season Sponsors are the Asheville Citizen-Times, Blue Moon Water, Creative Energy, 67 Biltmore Downtown Eatery and Catering, the North Carolina Arts Council, and the Renaissance Asheville Hotel. To obtain more information on the Mainstage Series or to purchase tickets, call the theatre’s box office at (828) 257-4530 or visit www.dwtheatre.com.